Time to upgrade. 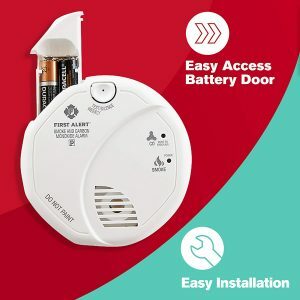 Amazon has the First Alert SCO5CN Combination Smoke and Carbon Monoxide Detector for $22.36, Free Shipping normally free with Prime or $25 order. Rated 4.3 out of 5 stars. Next lowest price $31. These are required in California and some other states starting in 2014.